There is no doubt Apple is already working on its next major mobile operating system, iOS 13. As noted by Bloomberg, iOS 13 to feature Dark Mode, CarPlay improvements, new home screen for iPad and other features. 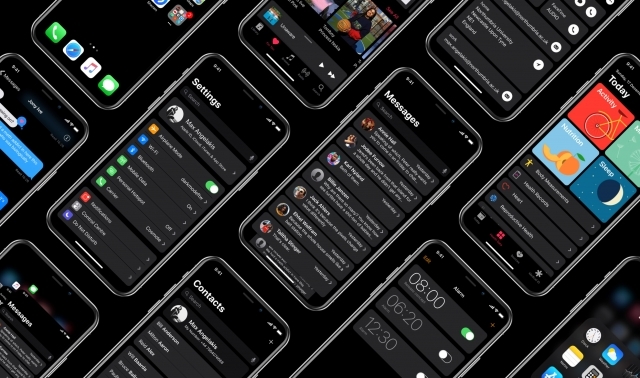 As for software, Gurman has Apple’s iOS 13 finally bringing a Dark Mode to the platform, and iPad owners will be pleased to hear that a revamped Home screen is also in the cards. That feature in particular was believed to have been nixed from iOS 12 last year, in an attempt to focus on speed and stability instead. We are also likely to see tabbed apps make their way onto the iPad as well, which would function pretty much how we use tabs in an Internet browser. We’re still a ways away from any of this going to fruition and while Gurman does have a record of being correct on these things, nobody is perfect. We’ll believe much more of all this when it’s being leaked closer to announcement day. For now, we’re just going to hope that USB-C and a Night Sight competitor make it into the 2019 iPhone refreshes. So what are you guys looking forward to see in iOS 13 ?